Every one Malaysian should read this speech by YB Lim Kit Siang at a Ceramah in Seremban on Sunday, 9th July 2017 at 9 pm. At tonight’s DAP ceramah, I am going do something unusual. I am going to read out verbatim the cry from the bottom of the heart of one distinguished and outstanding Malaysian, as his cry resonates throughout the country, as it represents the concerns of patriotic and loyal Malaysians, regardless of race, religion, politics or region, that something very wrong is happening to our beloved country – although the Prime Minister, Datuk Seri Najib Razak, his Cabinet of 36 Ministers, and the entire UMNO/Barisan Nasional leadership does not agree with this cry and concern. One reason why I reading verbatim the cry of Tunku Makhota Johor, Tunku Ismail ibni Sultan Ibrahim, which was first posted in Johor Southern Tigers Facebook, is because it should be compulsory reading and study by all Malaysians, not only the citizenry but also national and state leaders. In fact, the Cabinet should schedule a special meeting of the 36 Ministers to ponder over the Tunku Makhota Johore’s cry. “What’s happening to a country I used to respect? A country that I was once proud to call my home. A country that I pray for stability. 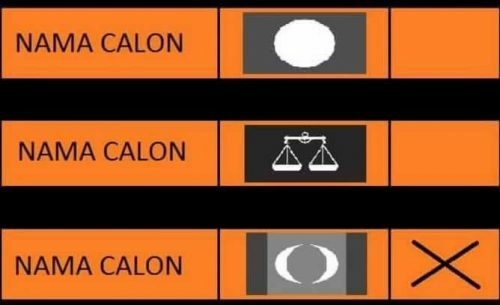 What’s happening to my beloved friend, Malaysia? I hope that one day, you’ll be okay again. Today, I live in a country where corruption has become a tradition. A country in which the media protects the corrupt and victimises the innocents, to sell stories. The uneducated are being deceived, manipulated by the system and torn into pieces. It has become a place where the rich are getting richer and the poor are getting poorer. A place where the people no longer acknowledge facts, but rather judge by the perception of what you are wearing. Where the actors and hypocrites are hailed as heroes while the contributors and those who are dedicated to the good cause are being ignored and perceived as villains, manipulated by the pictures they see. It has become a place where politicians are wanting to be celebrities and sportsmen. Where a person who can’t ride a horse or play polo can be selected to represent the country. Where individuals who don’t even go for proper military training can become a general. A country where the institution is slowly losing its identity. Leaders who act with what they’re wearing, but behind closed doors, forces the government to use the people’s money to pay for their private jet, are being respected. A country where my own race has forgotten our history, heritage and culture. A country that abandons our local traditions such as our traditional clothes and chooses to adopt foreign customs, wanting to be like the Arabs. A place plagued by jealousy and envy. A place where you can buy titles, and now those titles have lost its value. Some chose to keep quiet because they themselves have skeletons in their closet. While some like me choose to speak up because we are worried about what’s going to happen to our grandchildren and our future generations. A country where individuals want to be politicians for their personal interest and no longer believe in serving the people and our institution. Where being in denial and ignorant has become the way of life. Where the deceiver gains more grounds and power. Where the truth is being ignored and lies being acknowledged. Honour, loyalty and being genuine no longer exist. What’s happening to you, my dear friend? But, don’t you worry, as they are still a few that haven’t lost hope. There are still a few that will sacrifice for our future generations. A few that will change things from within. The vision is clear. Now is the time to implement it. Vision without execution is a hallucination. Stay strong my friend. You’ll be ok. You’re fortunate to have friends such as Sabah, Sarawak and other places. Be kind to them. Respect them. Unity is the key to success. I wish you all the best and I will always pray for your stability Malaysia. Tunku Ismail has rightly taken the pulse of the nation – that we are at the crossroads facing a crisis of nation-building as Malaysia seemed to have lost its way on the 60th anniversary of our attainment of Merdeka on 31st August 1957. As Tunku Ismail Ismail has rightly put it, Malaysia has become a country where “corruption has become a tradition”; “the media protects the corrupt and victimizes the innocent to sell stories”; “the rich are getting richer and the poor are getting poorer”; “the actors and hypocrites are hailed as heroes while the contributors and those who are dedicated to the good cause are being ignored and perceived as villains, manipulated by the pictures they see”; “politicians are wanting to be celebrities and sportsmen”; “a person who can’t ride a horse or play polo can be selected to represent the country”; “individuals who don’t even go for proper military training can become a general”; “a country where the institution is slowly losing its identity”; “ leaders who act with what they’re wearing, but behind closed doors, forces the government to use the people’s money to pay for their private jet, are being respected”; “a place plagued by jealousy and envy, a place where you can buy titles, and now those titles have lost its value” and a place where “some chose to keep quiet because they themselves have skeletons in their closet”. 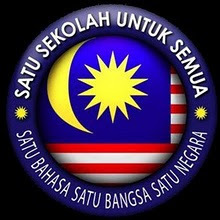 Why have Malaysia become such a country sixty years after our Independent nationhood in 1957, to become a country where “individuals want to be politicians for their personal and no longer believe in serving the people and our institution”, a country “where being in denial and ignorant has become the way of life; where “the deceiver gains more grounds and power”; where “the truth is being ignored and lies being acknowledged” and where “honour, loyalty and being genuine no longer exist”? But as Tunku Ismail rightly said, “there are still a few that haven’t lost hope” who are worried about what’s going to happen to our grandchildren and our future generations, who are prepared to sacrifice for our future generations. Tunku Ismail’s message is clear: Unity is the key to success. The vision is clear. Now is the time to implement it. Malaysians of regardless of race, religion, politics and region must unite to Save Malaysia. May be the first step to Save Malaysia and protect the Vision of a united, harmonious, progressive and prosperous Malaysia is for the Minister for Youth and Sports, Khairy Jamaluddin, who see nothing wrong in Malaysia being regarded worldwide as a “global kleptocracy” because of the international multi-billion 1MDB money-laundering scandal, to step down and invite Tunku Makhota to be responsible for TN 50 (National Transformation 2050) to restore Malaysia’s greatness and vision as world-class nation which is an example to the world of a united, harmonious, progressive and prosperous nation where diversities of race, religion, language and cultures are our greatest strength and assets and not our greatest weakness and liability.